Here are some suggestions for those who wish to visit the “Alta Val di Vara” if you are staying in “Monterosso al Mare” and would like to spend a pleasant day visiting one the the most appealing angles of the province of “La Spezia”. Leaving “Montorosso” by car and driving inland about an hours drive you will arrive in the “Alta Val di Vara” which is the “green heart” of the “Cinque Terre”, this area has been awarded the trademark known as the organic valley. Political consideration swayed in the direction of organic, sustaining the environment, and traditional local products, this led to attaining it’s trademark of the organic valley. The street lamps of “Varesse Ligure” are sourced by wind power, meat and dairy products are certified organic, and the fruit and vegetables are km. Zero. Definitely worth the visit is “Borgo Rotondo di Varese Ligure” ( the round village of Varese Ligure) . This village dates back to medieval days as a form of defense. The building plan was done by the Fieschi family that had their estate in Varese. From the historic center of Varese Ligure you can continue in the direction of “Passo di Centro Croci” the so called Napoleonic Route, one of many itineraries of the area. 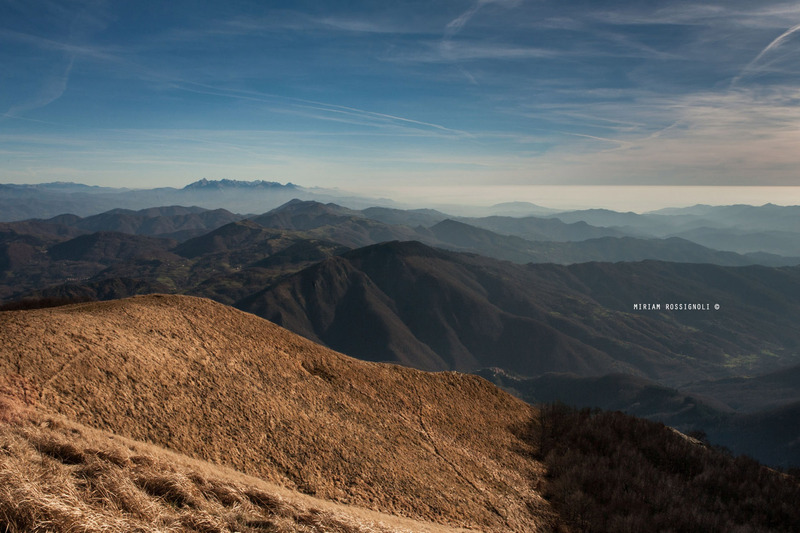 From here you can walk following the “L’Altavia dei Monti Liguri” arriving at the summit of the “Gotero Mountain” (1639m). It’s a four and a half hour walk, to go and come back from the “Cappelletta” pass where you can park your car. For gourmets this is a foodies paradise: lasagna with a leek sauce, tagliatelle with beans and swiss chard (tagliatelle con fagioli e zimino), potato croquettes, etc. Many use chestnut flour for cooking the “Castagnaccio” and “Tagliatelle”. 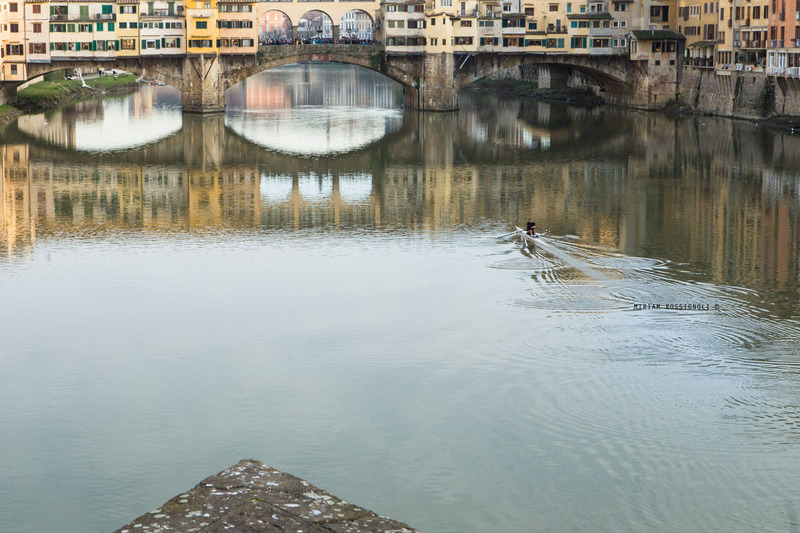 Here are a few inputs for visiting Florence, if you are staying in Monterosso al Mare, and you would like to go on a day trip to one of the most beautiful cities of art in Italy. Florence is about a three hour train ride from Monterosso. You will arrive in the center of Florence near the monuments, and the prestigious museums of the city. After the middle ages Florence became the “Culla del Rinascimento” (crib of the Renaissance). In an area of a few kilometers, because of enlightened values, and brilliant artists, churches, buildings, bridges, etc. began to be built. In the artisans shops they created paintings that have changed the history of art and even today they embellish international museums. In Florence there are so many things to see that it is not easy to choose what to see in one day. Other attractions not to miss out on: an authentic Monument park to stroll in. (about three hours). The “ Giardini Boboli”(Boboli gardens) is really an outdoor museum encircling “Palazzo Pitti”. Visiting the garden you can proceed onward to “Palazzo Vecchio”. In 1565 Giorgio Vasari built for Cosimo I Dè Medici the “Vasariano” Corridor to unite “Palazzo Vecchio” with “Palazza Pitti” (Dè Medicis’ private house). The corridor is about 1 km. long, departing from “Palazzo Vecchio”, passing through the Galleria of the “Uffizi” , and passing by the shops on “Ponte Vecchio” , and from there continuing onto “Palazzo Pitti”. Jewelry shops and artisans had established here back in time, and they still exist today. Artisans and jewelry shops produce and sell fine jewelry keeping theme with their beautiful surroundings. You absolutely must not miss the splender of “Piazza della Signoria” center of the Florentine life,civil and political, or “Palazzo Vecchio” where there is a good copy of the “David” by Michelangelo ( the original is in the “Galleria Dell’Accademia” in Florence). For art lovers there is the Uffizzi, a treasure chest of Master Pieces from every century. You can begin with the “Sala del Trecento” and the three altarpieces by Cimabue, Duccio di Buoninsegna, and Giotto. There are works by Botticelli, Leonardo, Signorelli, Perugino, Durer, Caravaggio, and many more. We recommend you dedicate a whole day for visiting the “Uffizzi”. Here are a few suggestions for for those who desire to visit the “Golfo dei Poeti” (Gulf of Poets) if you are staying in Monterosso al Mare and want to take a day trip to one of the most attractive gulfs in Italy and only 25 min. away by train. La Spezia is the center of this inlet that constitutes Lerici to Portovenere, surrounded by arched green valleys. 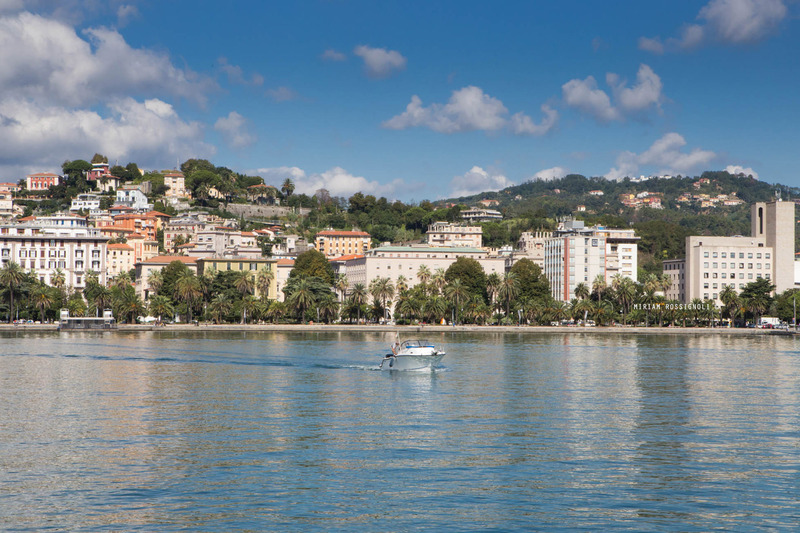 The history of La Spezia is almost entirely dedicated to the sea. It’s strategic position has been known since the days of Napoleon, it was decided in the 19th century to build a Navy Arsenal in this gulf. Then it was also decided to build a commercial port (work began in 1891). During WWII, because of its’ industry and military La Spezia, was repeatedly attacked by allied forces planes. La Spezia was one of the cities honored for its’ Military value during the liberation because of the sacrifices made by the population, and for its’ activity in the partisans fight during WWII. At the end of WWII on the ship named “La Fede” were boarded motored sail boats “Fenice” and the “Exodus”, along with 2300 Jewish survivors of the Shoah, they sailed out of the port of La Spezia, directly to Palestine. For this reason La Spezia, is known in Israel and on Israeli geographic maps is named “Schàar Zion” (Zion Port). The gulf of La Spezia, known as “The Gulf of Poets”, growth was not only based upon the naval and military industry but it was also loved by poets and writers like Shelley, Byron, Petrarca, and Montale. As testimony that this is a navel city you can visit some of the most important Italian navel museums here: Technical Navel Museum of La Spezia. A room in the museum is dedicated to naval evolution, it exhibits an exquisite collection of scaled models of Italian marine vessels dating back to the time of sail boats. In particular interest is the photo documentation on the first experiments of Guglielmo Marconis’ receiving station at the end of the 1800’s. Walking up one of the most beautiful, and historical staircases of the city you will arrive at the Medieval Castle of “San Giorgio”.it is a Genoese military fortification that sits high above the city. The museum of the castle is dedicated to Ubaldo Formentini an acute investigator of history and customs of the “Lunigiana” people. The “Lunigiana (in latin Lunensis Ager) today corresponds to the area between Liguria and Tuscany. It gets its name from the antique roman city Luni, that was situated on the outlet of the river Magra. The city became the most important port of the Ligurian sea, and the entire surrounding area took its name. The visit begins on the first floor where there are artifacts belonging to the collections of Cappellini, and Manfredi, coming from the Magna Graecia, Greece, and Eygpt and other various Italian regions. The visit proceeds with a prehistoric section where important stone and marble statues stand out, a true symbol of the antique ligurian territory and Provinces of La Spezia. These are manlike statues found at different times starting in 19th century in the basin of the river Magra. These statues date back to the Copper Age up til the Iron Age. The visit continues with the first traces of the romanization of the territory of La Spezia. On the top floor there are exhibited Roman artifacts from Luni dating back to 177a.c.